This 7-inch oil finished wooden bowl makes a great side salad bowl. 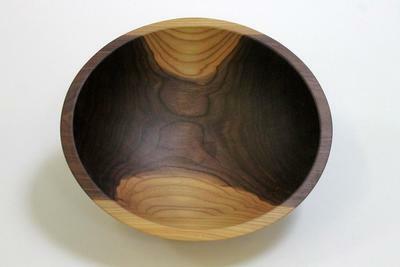 This spectacular solid Walnut wood bowl is turned by the craftsmen at the Holland Bowl Mill, one of the last commercial wood bowl mills in production in the United States. This is a side salad serving bowl and can serve a side salad for 1 person. Unique present for the holidays, weddings, housewarmings and birthdays! Wood grain will vary. Hand wash only.